Ride in Harmony : A unique workshop focused on connecting with our horses, body and soul. Would you like to develop a deeper connection to your own body? 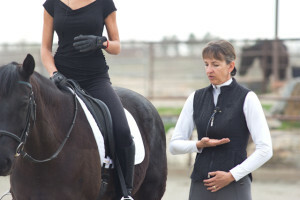 Would you like to learn how to carry that awareness with you into the saddle? Would you like to learn to be more present in the saddle and in everyday life? Would you like to ride with more awareness, balance, connection and harmony? Then join Sarah and certified Rolfer Lauren Harmon for a workshop combining heart-centered body awareness with mindful riding. ﻿Beyond Body Language & Tango with Horses with Andrea Datz, October 6 & 7, 2018 at Medicine Horse Program in Boulder. Join Anam Cara Equestrian on Facebook! Join Anam Cara’s email list to receive the Anam Cara newsletter.